Judith Amesbury received her undergraduate degree (Hon. BSc.) in Zoology and Biology from the University of Toronto and subsequently found her way into the world of adult education. For the past 15 years she has been a teacher, administrator, and researcher for various adult literacy programs in Ontario across the private, non-profit, secondary, and post-secondary sectors. Her research focus arose from a desire to move beyond the traditional classroom and learn more about learning with technology, as well as an observed need for evidence-based decision making in adult education. As such, she completed her B.Ed. and M.A. 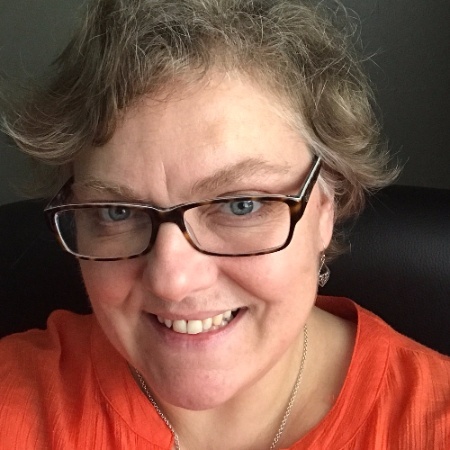 in Education and Digital Technology at UOIT and currently works as an independent adult education consultant, as well as Research Coordinator and Assistant for several projects through Durham and Seneca College. Judith’s research interests include research methodologies, problem-based learning, situated learning, authentic learning, and online community development.